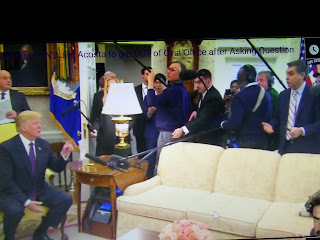 Jim Acosta is a disgrace to journalism. But, the corrupt media machine don't know what good journalism is. Fox News reports President Trump kicked CNN star Jim Acosta out of the Oval Office Tuesday after the network’s senior White House correspondent badgered him with racially charged questions. Calling Acosta a 'star' shows just how bad cnn really is.